Do you want to gain muscle mass or bulk up? Do you want to have more fat loss? Or do you want to just maintain how you are now, or lean out? 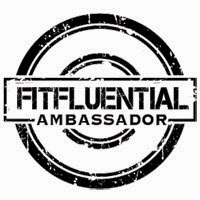 According to BodyBuilding.com, "Each body type or combination of body types will have a different reaction to various macronutrient ratios." An ectomorph is best described as slender. Characteristically, they have delicate bone structure, small shoulders and chest, and a fast metabolism. Ectomorphs are the classic "hardgainers." They find it hard to gain weight and put on mass. On the plus side, it's easy for them to get lean. They tend to require a greater percentage of carbohydrates to prevent muscle catabolism, as well as a higher calorie intake overall. A mesomorph is someone who trends toward being muscular. They're often strong, athletic hard-body types with well-defined muscles, broad shoulders, and dense bone structure. 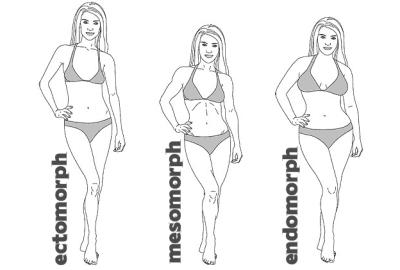 Mesomorphs generally have little trouble gaining muscle or losing fat, though they will put on fat more readily than ectomorphs. They can handle a moderate level of carbs due to their ample capacity to store muscle glycogen. Weight gain will happen, however, if carbs and calories are overly high. No body type is immune to a bad diet! Endomorphs can put on a lot of muscle, but they also tend to carry more adipose tissue and thus have a greater propensity to store fat. Because excess carbohydrates in the endomorph's diet end up as fat, a high carbohydrate intake will make it difficult for them to get lean or lose weight. 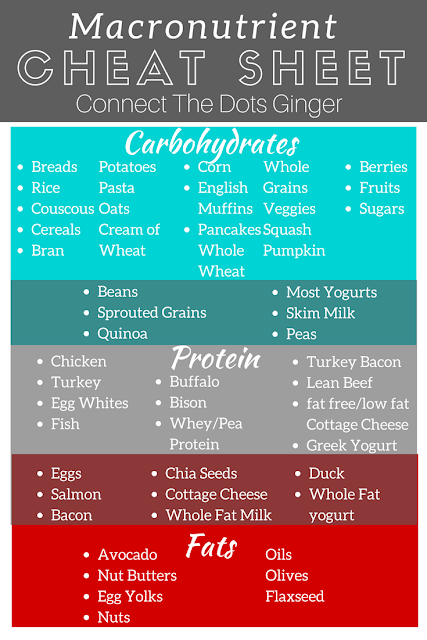 IIFYM (If It Fits Your Macros) and Flexible Dieting is a different way to count what you are eating and how much to eat. 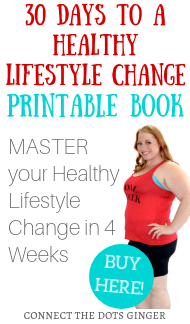 "Notice that fat never goes below 15 percent of total calories on any of the charts. Since hormones are constructed from cholesterol and other fat molecules, getting any less than that can actually suppress normal hormone levels. 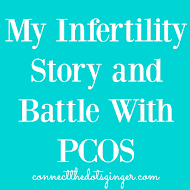 This also has a negative effect on the bodily functions driven by those hormones, including growth and development, metabolism, reproduction, and mood. Low fat intake can also impair absorption of the fat-soluble vitamins A, D, E, and K. Even worse, not getting enough essential fatty acids can increase your risk of colon cancer, breast cancer, and prostate cancer." 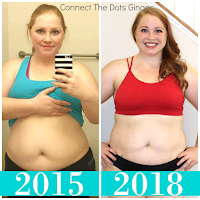 You will need a food scale ( I personally have the Ozri Pronto Digital Kitchen and Food scale in red) to track your intake to make sure you are getting the right amounts and MyFitnessPal also can track them for you as well! You can also use a macronutrient calculator to help you know which ratio you fall in to help you reach your fitness goals. Or check out Fitness Crest. 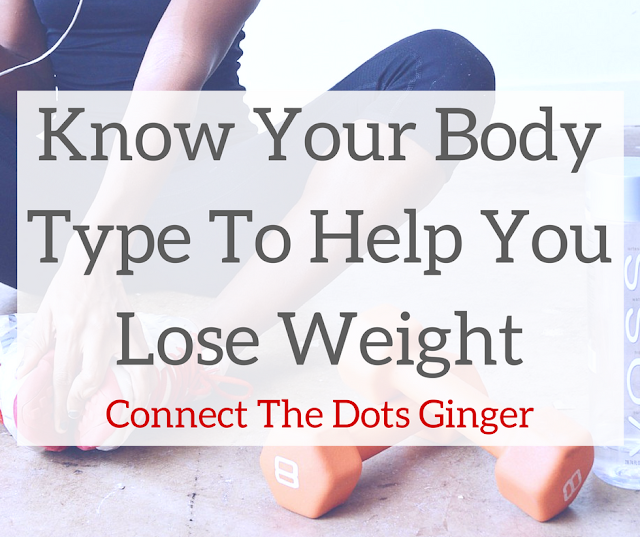 They explain how you can count your macros yourself based on your exercise level and goals. Notice how some of the proteins and fats cross colors. That is because you have Carb sources, carbs and protein sources, protein sources, protein and fat sources and fat sources so the foods that over lap will have to be calculated between the two. 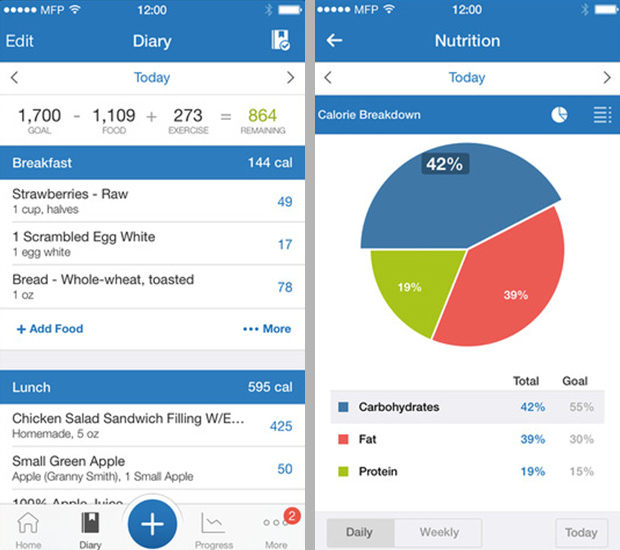 MyFitnessPal does it all for you!